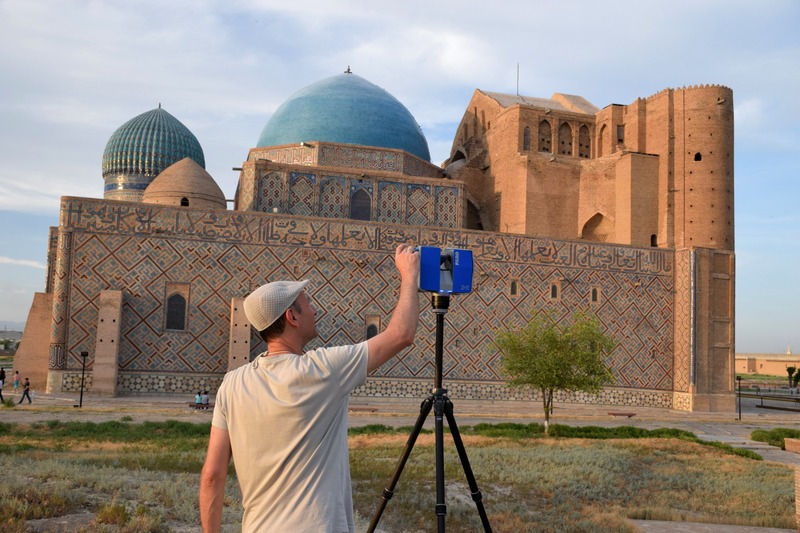 Leading three extended practical-scientific seminars “3D Technologies in Museology” at the Samarkand State University in Samarkand (SamSU) and the National University of Uzbekistan in Tashkent (Uzbekistan) as well as the Akhmet Yassawi University in Turkistan (Kazakhstan), in which about 120 people participated. 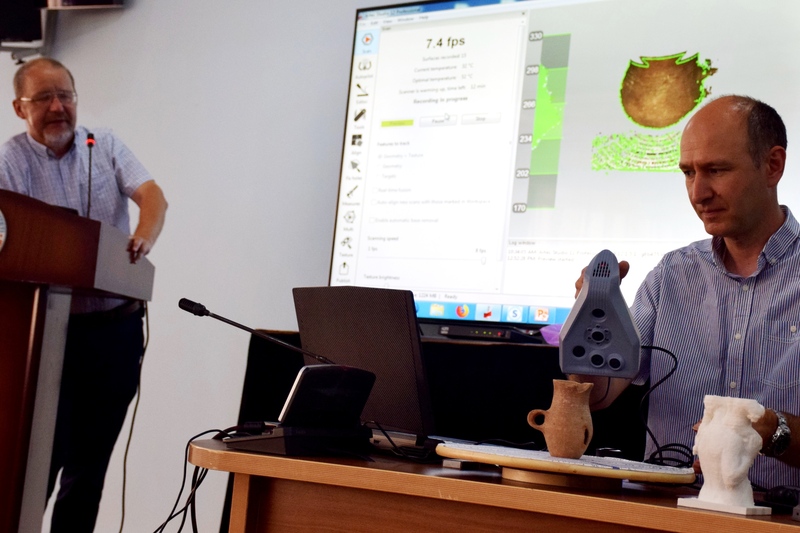 Handing in to the directors of the Afrasib and SamSU museums and the SamsU vice-rector materials in the form of computer 3D models of museum objects scanned during the first expedition. 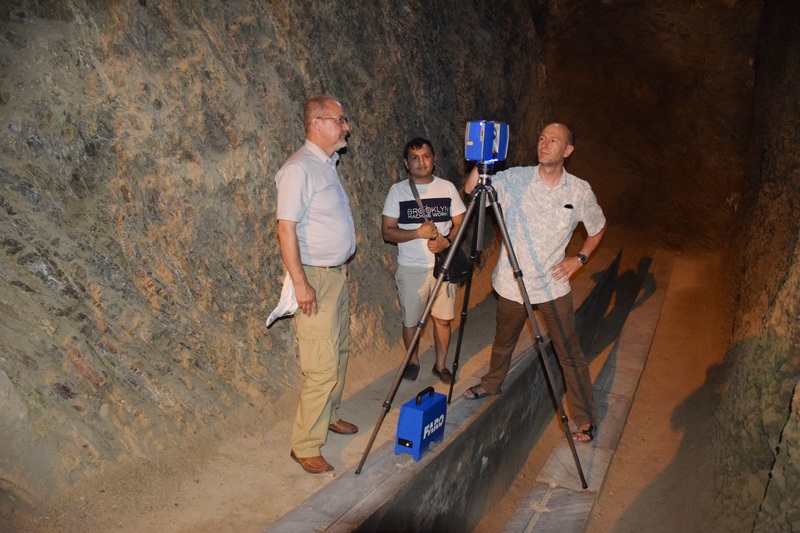 Finalisation of the indefinite renewal of the cooperation agreement between the Lublin University of Technology and SamSU. 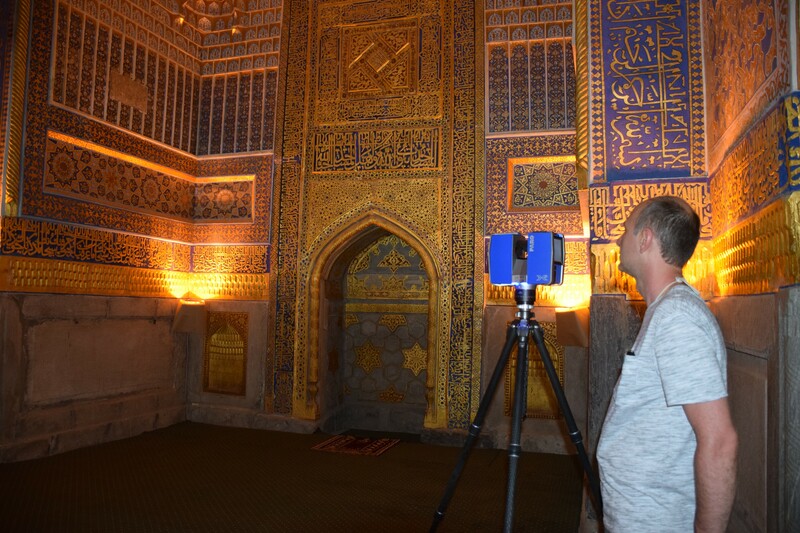 Performing scans (using a 3D FARO laser scanner) of selected external and internal complexes: Registan, Shah-i-Zinda, Gur-e Amir mausoleum and Ulugh Beg observatory, as well as unique frescoes in the Afrasib Museum. 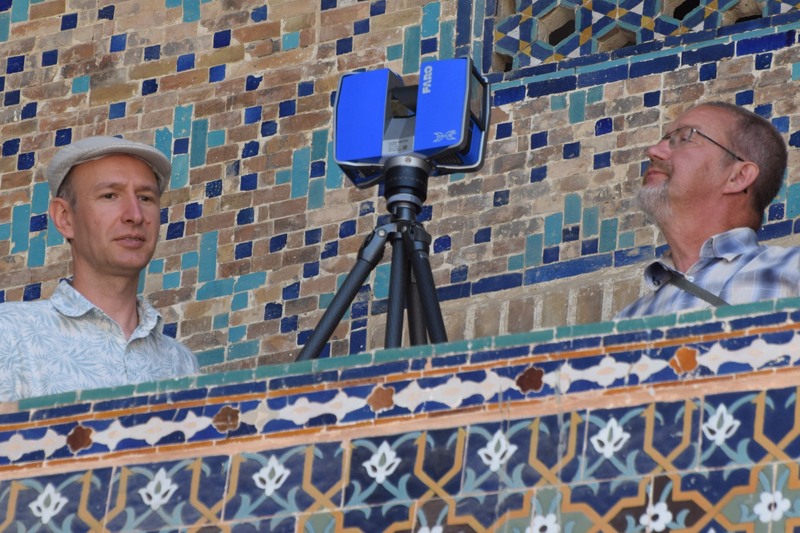 Performing 3D scans at the Khoja Ahmed Yasawi Mausoleum in Turkestan (Kazakhstan) and various museum objects spanning the Stone, Bronze and Iron Ages and the early Middle Ages in the Turkestan Museum and the Archaeological Centre of the Akhmet Yassawi University. 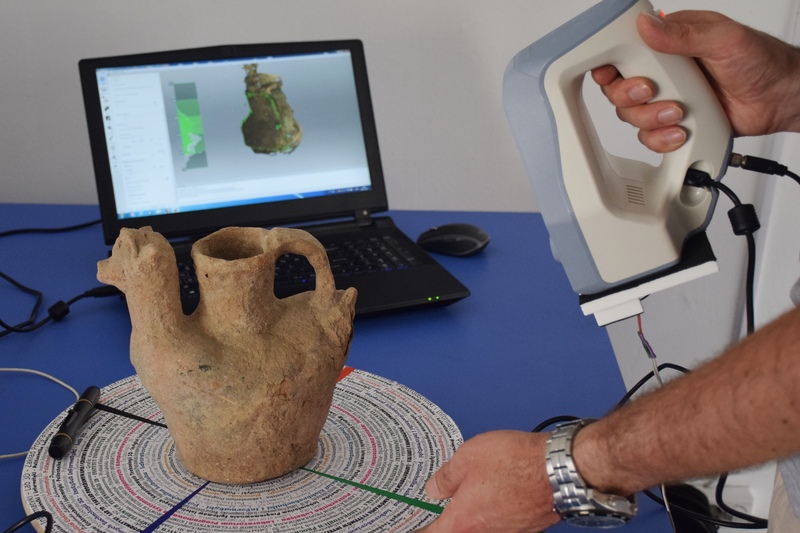 During the expedition, scans of 16 architectural objects (their interiors and external forms) and 35 small museum objects were taken. 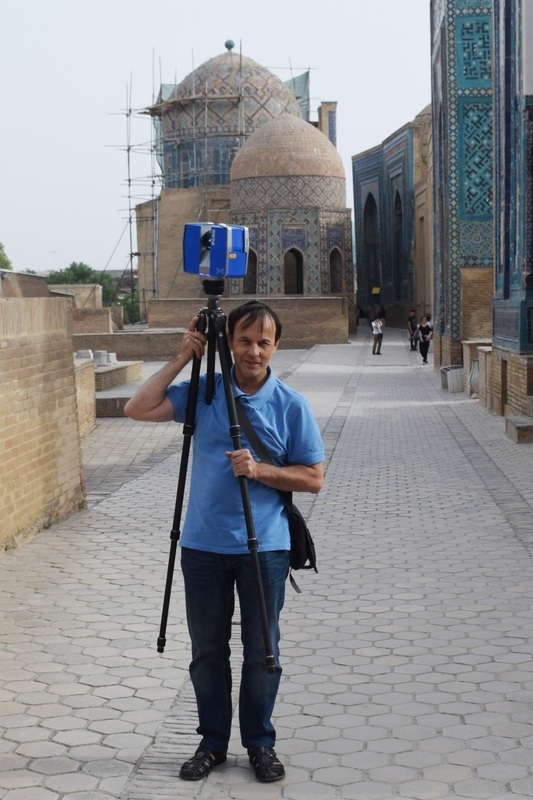 In all, data with a total volume of 100 GB were obtained.